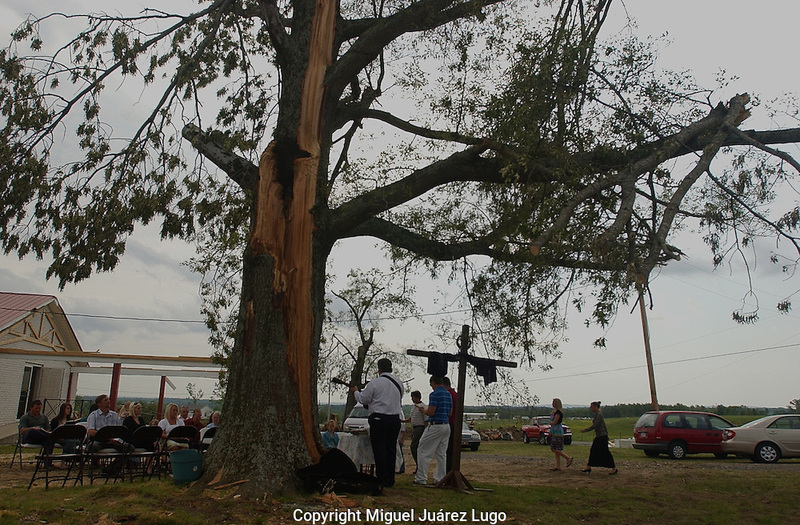 Rainsville, Alabama: Members of Brown's Chapel Baptist Church, damaged by tornados, sing hyms and hold services under a sprawling, splintered oak tree on the first Sunday after tornados ripped through this northeastern Alabama town. Though their sanctuary, left, is safe for services, they decided to hold worship outdoors in solidarity with churches more damaged than theirs, and as a declaration of faith to passersby. (PHOTO: MIGUEL JUAREZ LUGO).